Great bands are great bands—it doesn’t matter if they’re recent or from decades ago. You can see how certain acts transcend time and become popular long after they made the music. Today’s band has done it twice now, and my guess, will continue to be heard for another fifty years plus. In 1968 Brian May and Tim Staffell decided to form a band while studying at London’s Imperial College. They placed an ad and snagged a drummer, all they needed was vocals. In ’70, Staffell befriended a fella named Farrokh Bulsara—who had assumed the English name of Freddie. Over the year, they’d replace Staffell and search for another bassist. Upon doing so, they recorded a four track demo but no one was interested in signing a group calling themselves Smile. Freddie began going to the last name of Mercury from a song he liked and he suggested changing the name to Queen. In July of ’71, they had their first show at Surrey College with the lineup that became famous. They kept grinding, and eventually got signed by EMI/Trident records a year later. They released their eponymous debut in ’73, to solid reviews, but little mainstream attention. They’d continue to release records, typically one a year and eventually hit pay dirt. Their third release went platinum in the states and every record after did as well. 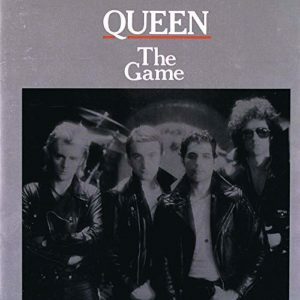 Today I’m listening to their eighth studio release, The Game which dropped in June of 1980. At a Los Angeles show, Michael Jackson heard the track ‘Another One Bites The Dust’ and encouraged Freddie to put it out as a radio single. In October he did just that and it spent three weeks at #1. 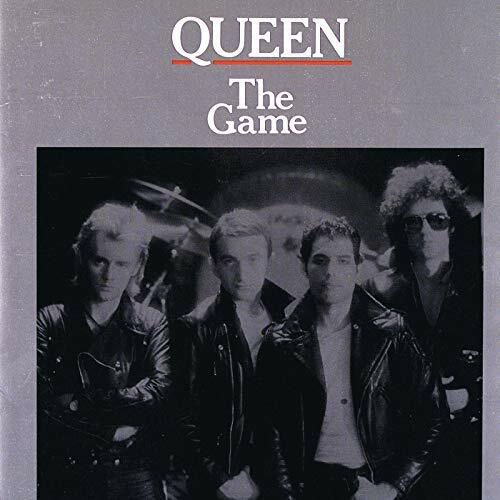 The album itself would become the first for Queen to hit #1 on the Billboard 200, and it spent five weeks at the top. To date, it has sold over 5 million in the states alone. It was a departure from their normal albums in that they mixed elements of disco, pop and rockabilly into their standard arena anthems. Some critics panned the album in the day, calling it unoriginal or corny—but in retrospective reviews, there’s almost nothing but praise. The fact they reinvented their sound to modernize with the times – and kept themselves relevant after a decade of making music is no small feat. In the late 80’s Freddie fell ill and was diagnosed HIV positive. Despite his worsening condition, Queen kept making music with Freddie with contributing what he could. In November of 1991, Freddie passed away from bronchial pneumonia as a complication of AIDS. Since they had an album come out the February prior to his death, their popularity was still lingering out there—but it stormed back a year later. The track ‘Bohemian Rhapsody’ was featured in 1992’s Wayne’s World and not only catapulted the band back to the Billboard Hot 100, but introduced a new generation to the band. Every kid was belting out words like “Galileo” and “Magnifico” in tribute. The band has since gone forward, adding Paul Rodgers to the act for half a decade to sing the hits live. More recently, they’ve been touring with Adam Lambert in a worldwide tour. This month, a film titled Bohemian Rhapsody was released focusing on Queen’s formative years through their infamous Live Aid performance in 1985. The film has grossed half a billion so far, and yet again, Queen found themselves on the Billboard Hot 100. Brian May and Roger Taylor remain from the original band and are now 70, so who knows how much longer their run will last. In the meantime, go see the movie and give The Game a shot today. This crazy little thing called music just might make your Tuesday bite the dust a touch quicker.